Punish women? Really? That takes some serious stones. I’ve been saying that right along, Kate, and you never called me “a demented s.o.b.” Why not? Scared? I’ve wasted almost four minutes on this stupid thing. Aren’t you guys against the GOP? Why this pro-GOP stuff? I dont know who posted this but if it happens again, we’ll take you off the blog. This video is a waste of our time. “Fitness inequality is acceptable. It is perfectly fine to wear tight workout sweats to show the world that pilates have given you buns of steel. These sorts of displays are welcomed as evidence of your commendable self-discipline and reproductive merit. “Moral fitness inequality is unacceptable. It is out of bounds to boast of your superior chastity, integrity, honor or honesty. Instead, one must respect the fact that we are all morally equal, though our behavior and ethical tastes may differ. “Church inequality is unacceptable. It would be uncouth to wear a Baptist or Catholic or Jewish jersey to signal that people of your faith are closer to God. It is wrong to look down on other faiths on the grounds that their creeds are erroneous. This blog is supposed to be about the ramifications of legally torturing to death young people. Instead, it’s turning into the Ranieri cut and paste morality crap. What gives? Just look at this: “one must respect the fact that we are all morally equal, though our behavior and ethical tastes may differ.” Send that to those prosecuting Sandusky and company over there at Penn State. Perhaps I should have narrowed the comments from Brooks to the two about church and morality, both areas that undergird many of the comments that are posted. For example, I believe that it is morally acceptable to expect abortion should be available on demand without apologies. Or that one church is not superior to another just because their dogma proclaims the one true faith, particularly about a woman’s right to make decisions about her health care. It is refreshing to read the thoughts of a clear thinker. Kate : It looks like you got that old fart Dunkle in a hissy. Don’t you think it would be interesting (if not done already) to administer a battery of Psychological instruments to the real wacked out ( Like Perry, Bachman, Personhood amendment supporters , JH proLifers and so on) by a person capable of reducing the information and mapping them to the Mental Disorders in the (Impending) DSM V? I bet they would be diagnosed with several illnesses. Have you read up on aborticentrism, Evan? You might find a lot of questions answered there. Hey! I didn’t put it that way! You finally wrote something that was more than nothing! Makes the Blog more enjoyable to read. Did you answer the question yet? You have been asked many times now. Do you own a gun, or other weapons of any type? he says he owns a 12-gauge and a .22, Evan. Is an egg that is fertilized a Person John? How is one cell a person? Or are you calling it a person because you believe the single cell has a soul? Think how strange it appears to the majority of the people on the planet that do not believe the single fertilized cell has a soul when you call the cell a person. Please help us understand your bizarre perspective. Evan, if that fertilized egg is NOT a person, Mr. Dunkle loses everything he stands for. Suddenly he’s just a crank with a fixation, not a hero for a helpless victim. The whole thrust of the so-called ‘pro-life’ movement is to engage in a PR campaign portraying themselves as heroes. You can see from their comparative lack of concern for children that they want to care more for somebody else’s fetus than for real people. You’ve got so much BS here, E, that I don’;t know where to start. OK, I’ll start from the back. The majority has been wrong so many times you should ashamed to use that argument. So John you keep getting asked but I have not seen you answer. 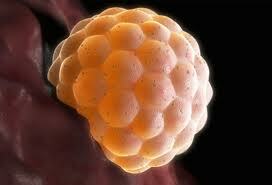 An egg that has self fertilized by doubling it’s chromosomes – Do you believe that to be a person? Now that’s an interesting question, B. But I never heard of it. Does that happen? I thought a sperm cell had to fertilize an egg. So John, Please answer the question, instead of dodging it. You stated that a fertilized Egg is a person. Is this fertilized Egg a person? The cretin can’t answer a question he is so uneducated. Mr. Dunkle does not believe fetuses are really what he calls them. For him, fetuses are just game pieces– if he gets them across the finish line on the board he has designed, he wins. What happens to them after that has always been of no concern to him. One can imagine the depths of the heartlessness there. That all depends on whom you talk to. For Chuck abortion is an escape from the horrors of living and what’s killed is an earthworm. You old decrepid illiterate who probably drops a load in your diaper daily. Let me help you in your uneducated illiteracy. This blog is about the constitutional rights of women to control the determination of their own bodies. When I’m up in heaven, I’ll look down on you in hell, but I won’t send down a drop of water, Dunkle, the misogynist. You are too stupid to realize where you are going. I can only laugh at you. Abortion related news from all over the globe. Check our Facebook Page. You gotta check out the personhood funeral link, it is a riot! Should a misscarriage, which you seem to be calling the killing of a person by an abortion by your deity, get a funeral and all the Catholic sacraments a person is supposed to? Let me rewrite your question so it’s answerable: should the person who dies before she is born have a funeral and get the sacraments? Answer: Of course not! Usually she is so small you can’t even see her. Because even though I believe she’s a person, the church doesnt’ agree. She’s too small to matter, too insignificant to deserve the sacraments, too much a non person to be worthy of a funeral. If it is detectable, her little body is taken care of. To be baptized someone has to be out of the placenta liquid. Funerals are sometimes but rarely performed, as you can imagine. Oh yeah, the amniotic fluid. overwhelming number of them are too tiny to find. However, if she has grown large enough to see, the humane action is burial of some sort. And then there’s this. If we have imbibed enough poison into our systems (alcohol, tobacco, drugs, etc.) to kill another while doing little immediate damage to ourselves, we will be held responsible for killing that person. We should strain ALL menstrual fluid, and the we could find millions of “persons” that God has killed. Then we should give them funerals? Why does God kill a cell, if it is a person? That’s not very nice of him . . . poor little cell never got a shot at even being a two celled person . . . I keep answering this question but the AI’s keep bringing it up. Here’s the answer for the tenth time: we may not kill people just because God does. God’s gonna kill you, E. Does that mean your 8th grade classmate may kill you too? John, Why does God Murder so many innocent Children? Millions and millions. Makes no sense? Do you have any idea what you are talking about you creepy stalker of women? Which god are you talking about. Most the other Gods do far less murdering of innocent children’s than your God. Do you think it is OK that your God murders innocent children? I confess that I am a little confused about this whole “abortion thing”. I feel kind of sick speaking with such ease about it. I guess if you are looking from a women’s point of view and they don’t want to be pregnant at that time or at all abortion is more than OK for them. What makes it “a cruel thing,” Karine? Karine is it cruel to abort a complete anencephalic baby? Don’t answer these guys, Karine. They want you to agree that handicapped people should be murdered. Little do they realize that if that becomes the law, both of them are outta here. Justice, an anencephalic fetus IS a baby if the pregnant woman deems it such. Neither you nor I have any power to overrule her. A relative of mine aborted two of them and felt pretty badly both times, but she did not let the experiences get in the way of maintaining control over her life. chuckles sees both sides of the issue despite his own opinion of the matter. Has proven herself too stupid to answer even the easy questions. . . .
No, Beatrice, Karine is just afraid to explore her feelings about abortion. If I remember correctly, she is the one who will grant other women the right to determine whether they want to bear a child, but is appalled by/disgusted at /angry about abortion nonetheless. It’s an interesting combination, although probably quite common among the population. If I were sensitive about people calling me names on this site, I wouldn’t be likely to respond either. aaaawwww, rogelio! You ruined the snark! Absent any public comments he made about abortion, I think whoever used his niece’s words to make him a so-called “pro-lifer” was engaging in magical thinking. When someone is driven by aborticentrism, magical thinking can be a feature of their behavior. With the likes of Alveda King, using her uncle’s good name, while rubbing elbows with the recalled Frank Pavone, you have to wonder who’s using who? It’s clear that King is banking on MLK, but Pavone? Not sure. Both of them love the spotlight in their prolife work, that’s for sure. For now, it’s only the sound bites that King and Pavone repeat, sound bites with likely no ties to historical reality. Where were you this morning, Kate? At the AWC some guy pulled a woman out of the car and dragged her across the parking lot, through breast cancer alley, and into the mill, her crying the whole way. We stood there and gawked, prolifers and deathscorts alike. I was just wishing you were there, someone who really believes in women’s rights, somebody who would have kicked that bully aside and protected that woman. “Where were YOU, Mr. Dunkle? ” I was being my own cowardly self. No you weren’t being your own cowardly self. You were being your own prudent self. To have acted on what you claim your principles to be would have been to put your body at risk for harm, your wealth at risk for a defense lawyer, your time at risk for court schedules, your freedom at risk, your wife’s affection and companionship at risk and your ability to keep up your PR campaign at risk. You present as a hero with none of the virtues of a hero, a very strange thing. You stand for liberty, justice and the American way blah blah blah only as long as it does not inconvenience you. Aborticentrism points out why this is typical behavior for self-proclaimed “pro-lifers.” As one, you bully and lie as much as you wish, straining neither your schedule nor your intellectual and financial resources. When it comes to sacrifice (and never mind about sacrificing for real children), you happily toss off, “I’m a coward.” Words are cheap. Did any Pro Lifer intervene? Chuck — cowardly, prudent, not everybody is as kind as you. And e, learn to read. John, Did ANY ProLifer intervene? I have a lot of your good friends and people you admire down here with me. They are being flogged in an eternal fire, so they are busy right now. Would you like to write to them at any time? I can make the arrangements . . . So they can write you back. S, I think you meant to say the floggers are busy. I thought you were supposed to be smart! No John, Wrong Again my loyal evil servant and proxy on Earth, doing my deeds for me. Your convicted murdering friends that have died or been executed are in an Eternal Hell and Damnation. When your God strikes you down, he will send you to me as well. Why don’t these people get that Abortion is so simply wrong? It is so obvious! We need to be compassionate to All humans, including the unborn! Everyone is so busy at the CPC Mills where they harm women with their lies and deception by the millions. The Catholics are even worse, think about how many people they have murdered! Maybe the Catholics and Satan are the same thing? That is the only explanation I can think of . . .
It’s all in the PR, Kate. Charles, if you’re referencing the Frankie & Alveda duo, it’s more like a PT Barnumesque show. Any publicity, negative or positive, is good—truth be damned. In fact, it’s what much of the prolife industry, especially priests for life, is built on—propaganda of the worst kind–built on lies and misinformation. Even the less-celebrated anti abortion zealots, those who troll outside abortion clinics, perform bizarre circus acts to shame and terrify women using lies, misinformation and a widespread misanthtropic view of women. They troll in the name of Jesus but act like Satan. They troll because they know the Truth (note the singularity) yet spin meaningless fictive sound bites. They troll because they want to punish women by making their legal and moral decision to enter an abortion clinic a horrifying experience, a punishment that reflects the very satanic nature of the troll. In all, their PR is as transparent as plastic wrap. You can see through it even though it suffocates the very life out of that which they seek to save. The PR is only transparent to those who have gotten beyond the educational level of Fox News viewers and aren’t hobbled by their need to punish others as compensation for their own actual powerlessness. That those two are even moderately successful indicates that they have an ocean of rubes to pitch to. The only success they can lay claim to is successfully demonstrating how unchristian, disrespectful, and hateful they are toward women each and every Saturday that they are present outside the abortion clinic. I don’t think ProLifers and Catholic priests even realize when Satan has taken control of them. Look at all the Catholic Pedophiles and murderers. They don’t even know they are one with The Dark Lord. Why are there so many Catholic Pedophiles? Evan asks, “Why does God kill a cell, if it is a person? One of the basic falsehoods of the so-called “pro-life” movement is that an egg, an embryo, a cystoblast or a fetus is a person. Self-proclaimed “pro-lifers” have to deny that personhood is achieved only by a human being and that one becomes a human being only through social inputs– nurture, play, education, competition, etc. So-called “pro-lifers” will not touch this concept with a ten-foot pole, because it opens them up to the responsibility for caring for life beyond the fetal stage. Mr. Dunkle, once intelligent enough to be an English teacher in a parochial school, refuses to discuss the significance of ferality in children. He pretends to be stupid about it; he knows what will happen if he engages in the topic. OK, Pat, that’s it for me. Elena is deleting my comments, which she has every right to do. Course, then I have the right not to make any more either. What I’m afraid of is that deleting could turn into editing, when the frustration grows even more, and then I could be in big trouble. So, this is what I’m going to do. I have read my last comment here. Every Monday I will read your latest post I will then transfer one, or even two of the four, into my monthly newsletter, with comments. Anyone else who wants to respond can either comment there or email me, johndunk@ptd.net, or call me, 484-706-4375, or write,, 204 S. 4th St., Reading, PA 19602. It’s been a great ride. You and Kate and Rog and Chuck have provided more fun than you can imagine. Even the AI’s have contributed. John – I dont understand what is happening here! I dont even know who Elena is and I really dont think that she has editing rights. ELENA: IF YOU ARE READING THIS, PLEASE RESPOND TO ALL OF US. As much as I/we disagree with John, I appreciate his comments and his perspective. They are valuable to our discourse. So, John, I urge you to hold off. ELENA, wherever or whoever you are, can you explain what is going on?????? He’s been getting too much heat– not just the usual name-calling, but serious charges about what he’s doing, how he’s doing it and why. It’s wearing him down. It’s a convenient excuse to bow out, but he’ll be back. He can be as wrong as sin and as obtuse as a barnacle, but he loves the attention he gets by being a saddle burr. That is the truth. John is not smart enough to answer questions, and now he is threatening to leave like a little boy as he has done in the past. If he is not smart enough to answer a question, who needs the rotted brain he harbors anyway? It is just a waste of time to read what he writes. I saw him come close to actually conversing, but then he went back into the typical ProLife Idiot mode that is uneducated and cannot take the scrutiny of the truth. He’s smart enough, Carl. He just hates being ignored and having his precious words erased or silenced….makes him look unimportant, takes a bit of him away when his comments are deleted. Oh, yes, let’s talk about rights. Typical prolifer. Be gone, already. Who needs all the fan fare. Just beat it. I think John Dunkle became paranoid that he was being targeted and like many of his targets (female clients and doctors), he didn’t like being a target. Oh, boo hoo. “Why don’t these people get that Abortion is so simply wrong? Andrea, are you one of those self-proclaimed “pro-lifers” who focuses solely on the fetus? Or are you one who extends her care for the fetus for the next eighteen years post-partun? It is one thing to care for human life; it is quite another to use abortion as an excues to vent your fears and anger about other things that bother you, but which you can’t discuss. prostesting in front of people’s homes is not acceptable. harrassing people at their places of work is not acceptable.we respect your opinoins but condemn your behavior.if you choose to continue to protest at their homes and workplaces,you can expect protests at your home and workplaces. the previous comment is meant for John Dunkle concerning his activities in Allentown.